New British Princess Is Given A Name : The Two-Way Born over the weekend, the baby girl weighed 8 pounds, 3 ounces and is fourth in line for the British throne. Prince William and his wife, Catherine, who is the duchess of Cambridge, show their newborn daughter to the media outside the Lindo Wing at St. Mary's Hospital in central London on Saturday. 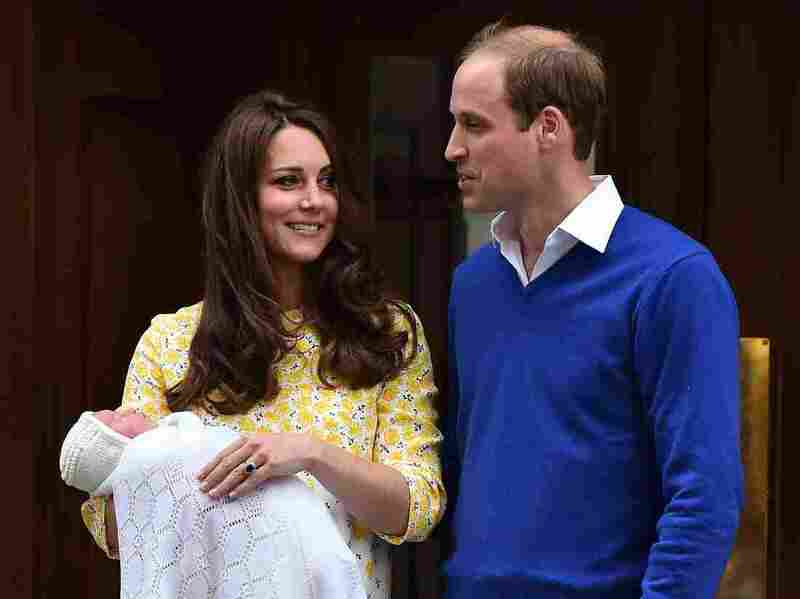 As we reported, Charlotte Elizabeth Diana was born Saturday and weighed in at 8 pounds, 3 ounces. She is fourth in line to the throne, behind grandfather Prince Charles, dad Prince William and brother Prince George, who was born in July 2013. "This name is full of meaning. Charlotte is a nod to Prince Charles, the baby's grandfather. "Elizabeth is the name of her great-grandmother, the queen. "And Diana was the name of the baby's grandmother, Princess Diana, who died in 1997."